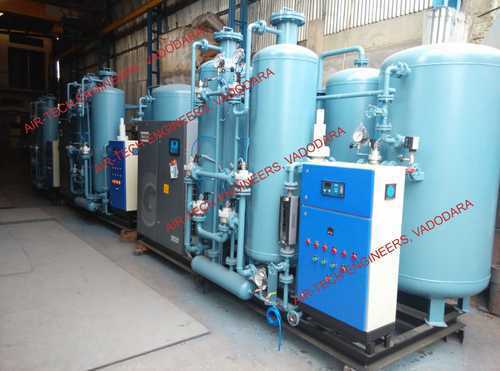 Leading Exporter of psa nitrogen gas plant, psa nitrogen gas generation plant, high purity deoxo based nitrogen gas generation plant and psa nitrogen gas generator from Vadodara. Capacity 2 NM3/Hr to 2000 NM3/Hr. Dew Point (Degree Celsius) (-)80 DEG.C. 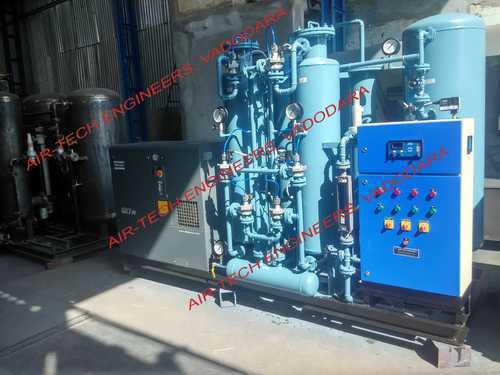 "AIR-TECH ENGINEERS " is a leading manufacturer, supplier, and exporter dealing in premium quality Nitrogen Gas Generation Plant. Our world class Nitrogen Gas Generation Plant works on PSA technology. PSA stands for Pressure Swing Adsorption, which works on the air separation technology and separates nitrogen and oxygen molecules from rich compressed air. Here, the oxygen is adsorbed to its equilibrium value much faster than nitrogen as oxygen which is smaller in size diffuses much faster in Carbon Molecular Sieves than nitrogen. 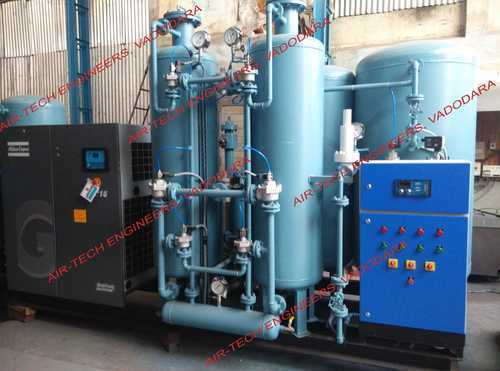 Air-Tech make PSA Nitrogen Gas Generation Plants are of Premium quality, durable and maintenance free. 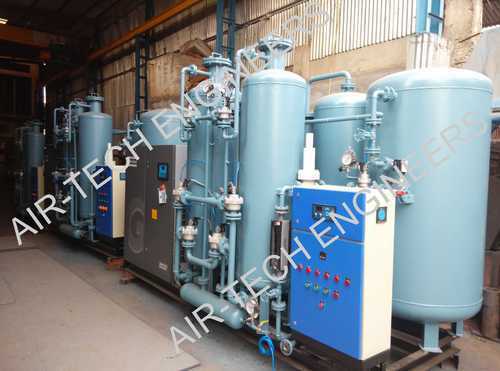 As our PSA Nitrogen Gas Genration Plant are custom made, it can be adjusted to give the desired nitrogen purity for your process and application. 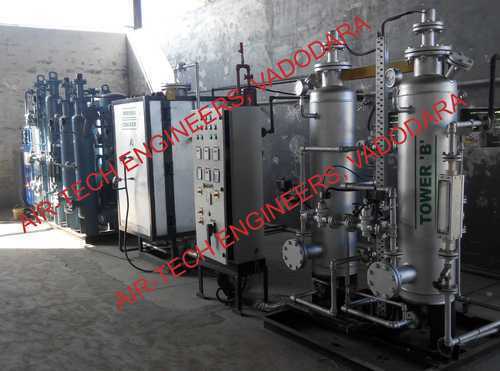 We manufacture PSA Nitrogen Gas Generation Plant with purity ranges of 98% to 99.9999% . O2 + 2H2 2H2O + Heat. This model is suitable for Oxygen free Nitrogen. The product Gas comprises 1 PPM Oxygen and Zero Hydrogen (or adjustable as desired). This Composition is achieved by adding a module called Copper-Deoxo consisting of Cupric Oxide. Looking for “PSA Nitrogen Gas Generator”?